Today, Jeffrey Lurie, Chairman and CEO of the Philadelphia Eagles, released Head Coach Chip Kelly. 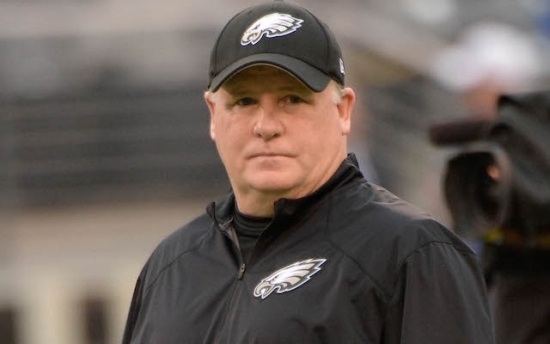 "We appreciate all the contributions that Chip Kelly made and wish him every success going forward," said Lurie. Coach Pat Shurmur will be interim head coach for Sunday's game against the New York Giants.